Students will learn the following stitches, abbreviations, and symbols: chain, single crochet, half double crochet, double crochet, treble crochet, front post crochet and back post crochet, and slip stitch. They will also learn other terms such as front and back loops. They will learn to read patterns, will design their own scarf, and make a beanie hat (with or without ear flaps). Materials will be provided. Carole Fitzgerald learned to crochet 45 years ago from her mother in law and has had a variety of her patterns published. 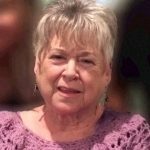 She taught crochet at Michaels, Joann’s and at Stevens Elementary School and Stevenson Middle School in Houston, Texas.